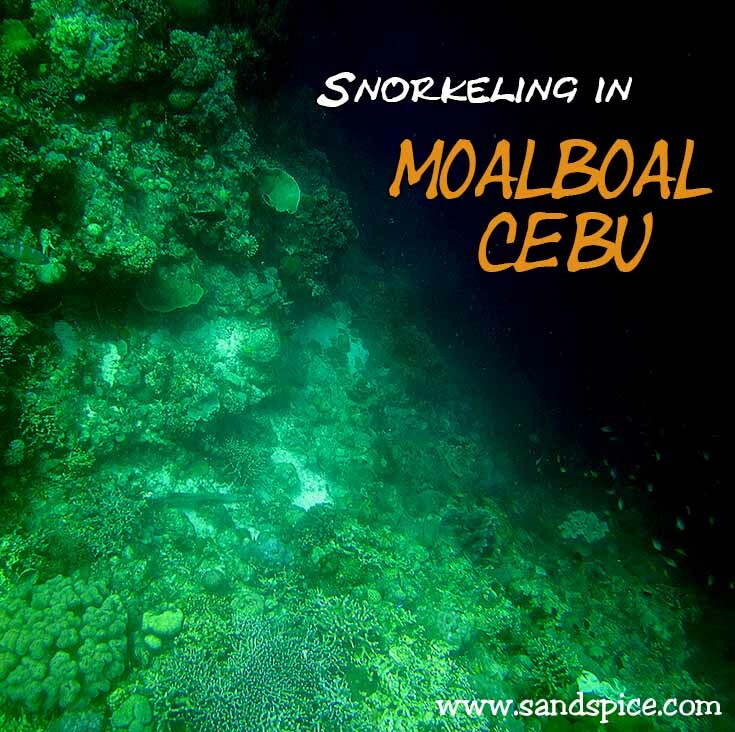 Snorkeling in Moalboal Cebu was one of the highlights of our visit to the Philippines. Moalboal is located on the northern coast of Cebu, looking out towards Negros. We traveled to Moalboal by bus from Cebu city, then took a trike for the short journey to our resort on the coast. 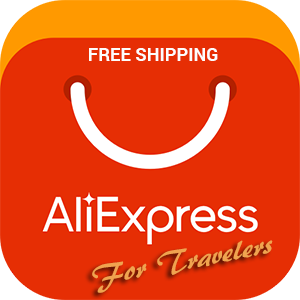 We stayed at the T-Breeze Beach Resort, which offers a good selection of snorkeling gear for hire – around 200 pesos per session. Access to the sea is via some stone steps, handy for slipping on your snorkeling gear before setting off. 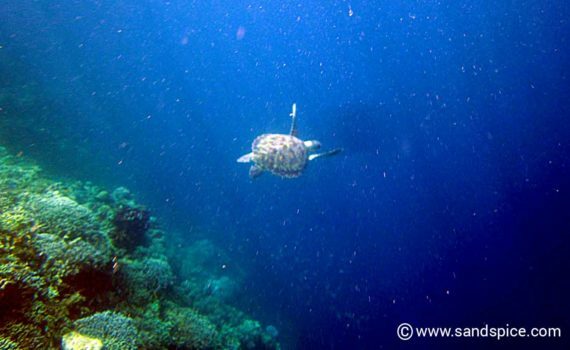 It’s about 50 meters out to the reef edge, where all the interesting creatures can be found (you’re unlucky if you don’t see a turtle). However, there are lots of colorful coral formations and small fish in the shallows: I even spotted the infamous striped sea snake (see slide show above). 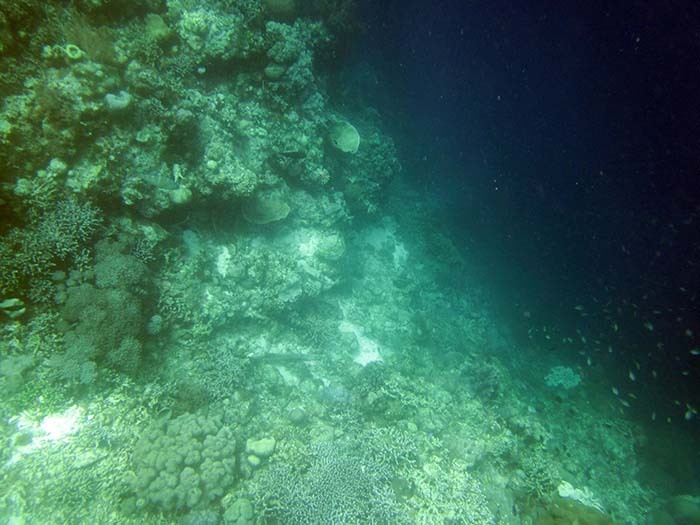 Visibility is quite good as far as the reef drop-off. Apparently, this area didn’t suffer as badly from earthquakes and tornadoes as other areas in the Philippines. Snorkeling off Moalboal was better in the afternoon than in the morning. In the afternoon, the sun is shining back in toward the reef (from the sea), providing better visibility, and much better photo/film opportunities. The sheer drop-off to the depths from the reef edge is weirdly hypnotic. The visibility drops significantly, so a torch would be handy for any deeper excursions. 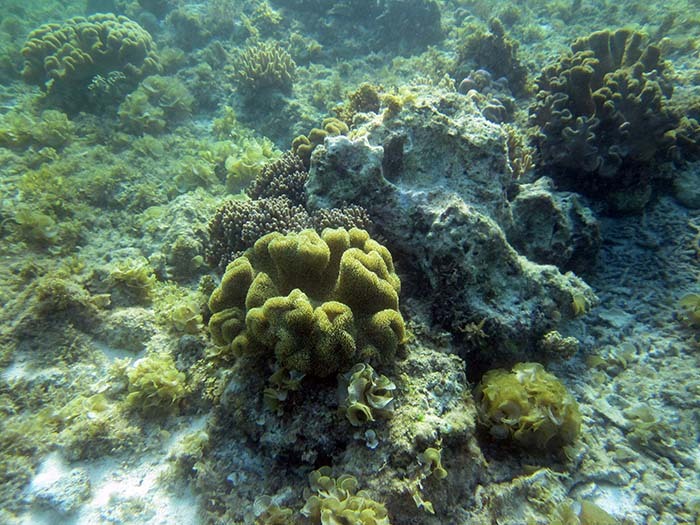 For photos and video, I used a compact Cannon Powershot camera, housed in a DICAPack waterproof case. Both of these items have worked well for me for the past three years, providing a simple and low-cost solution for underwater snaps and videoclips. 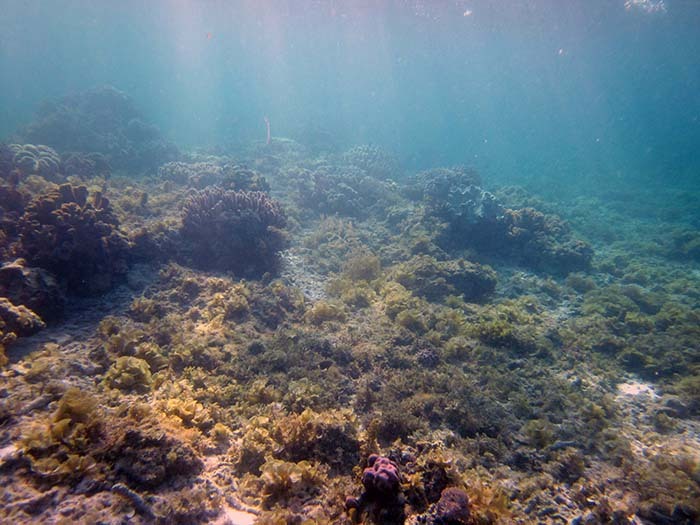 Snorkeling from Isla Hayahay on Pangangan Island in Bohol is less impressive, with lower visibility as well as noticeable damage from recent earthquakes. In Barangay Magtongtong, on the other side of Pangangan island, I met a Norwegian resident who explained that the snorkeling and diving were much better there, and the underwater quake damage hardly noticeable.